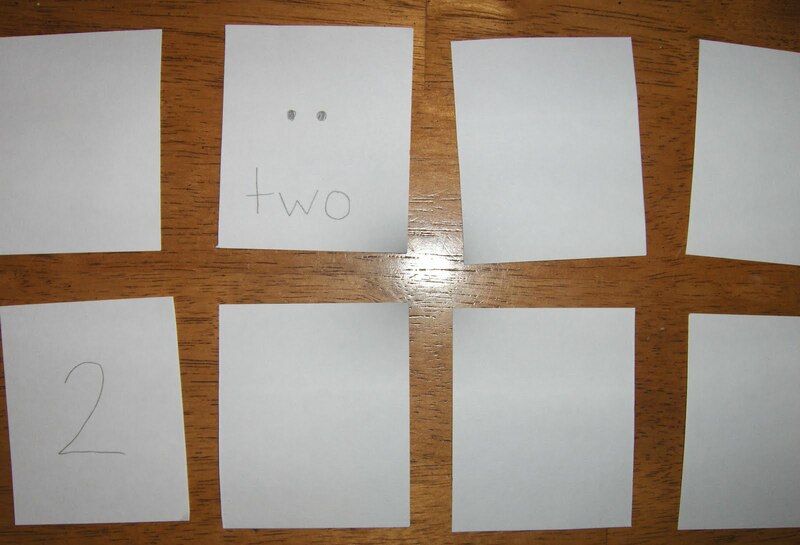 I cut index cards in half and B put a sticker on each one. 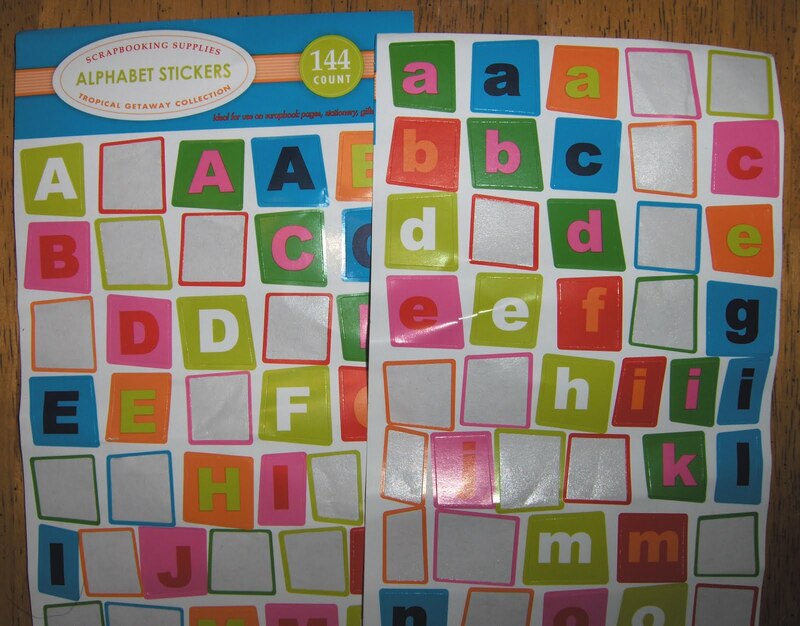 It was a little bit overwhelming to play with the whole alphabet at once so we worked in chunks. These cards also worked well for matching! While B was working with the stickers I made a number memory game. I had to use pencil because marker showed through the card. I put the number on one card and the corresponding number of dots and the number word on the other. This game was a hit! 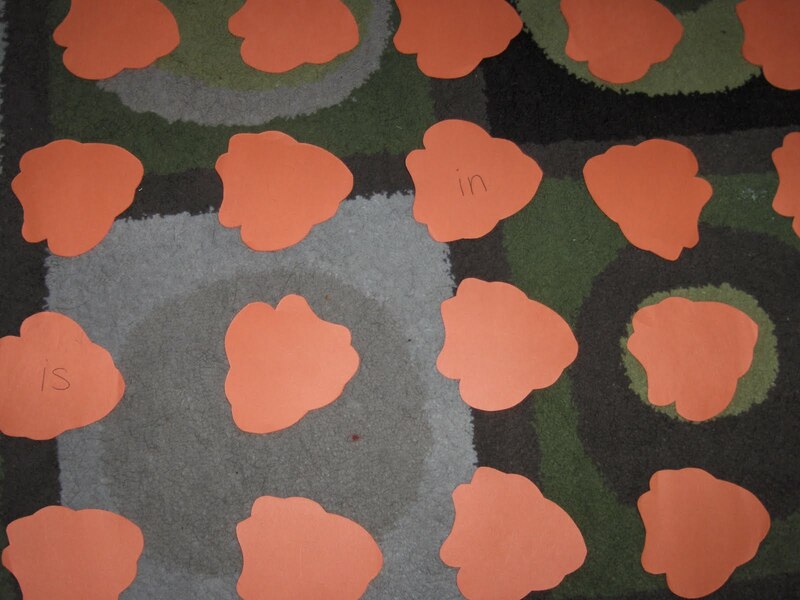 My goal was to expose B to the number words by giving him the dots to count along with the words. 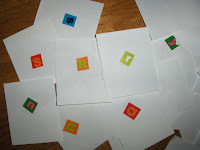 Then I decided to make a letter sound memory game. I started by writing the letter on one card and drawing a picture of something that starts with the letter on the other card. After quite a few, B jumped in and said “I want to do it”. He jumped in and wrote many of the letters and drew a few pictures. We never used this for a game. I was just so excited to see what he could draw and write! 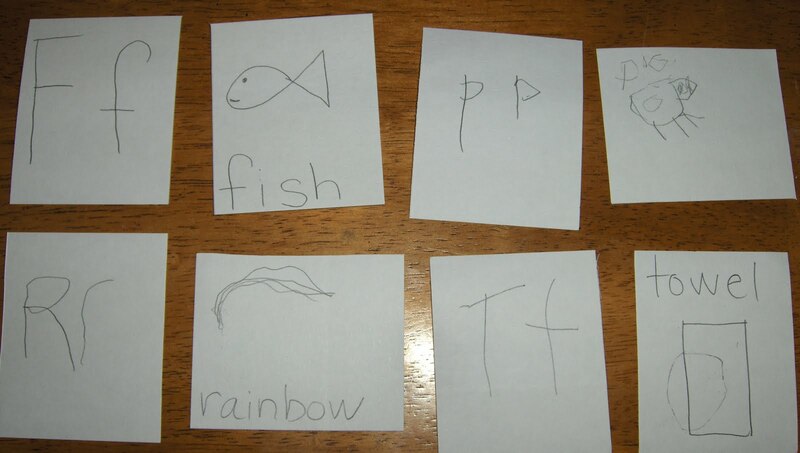 It was also a great opportunity for B to see me writing different letters and words. We also played “Nemo Memory”! I cut out fish shapes using a cookie cutter and wrote some small words on the cards. 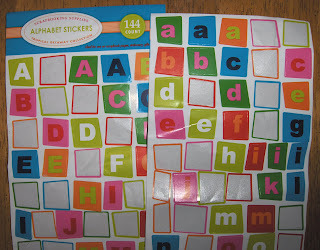 what a great idea…i will have to look in my $1 section at target! 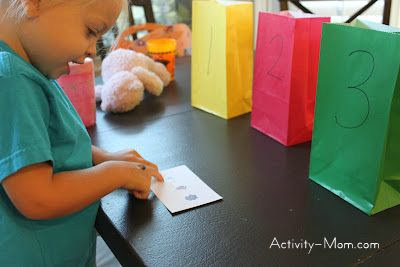 We love making our own memory games here! Fun stuff!